A sweet NON-Dairy, Vegan, Gluten and Soy-Free treat for mom and baby! 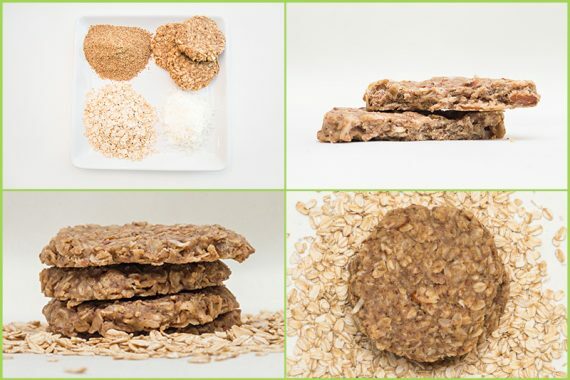 Made with 100% rolled oats, almond butter, organic almond milk, organic coconut oil, organic unsweetened coconut, brewers yeast, organic gluten-free flax seed & just a hint of fenugreek. Package of 12 for $24. That’s only $2/cookie and way less than the amount of $$ you would be spending on formula. And OH… so much healthier! DIRECTIONS: Start with 2 cookies/day for about 5 days then 1-2 as needed to maintain or boost your supply. Many moms see an increase in the milk supply in a few days. Continue to nurse &/or pump 8x/day will also help to increase milk supply. Contains almonds. Does NOT contain dairy, wheat, eggs, soy, artificial ingredients or preservatives. May be kept in pantry and Best if consumed within 2-3 weeks. Refrigerate or freeze for longer use.